Family Owned & Operated HVAC Service Company Since 1999. Request High-Quality Professional Heating & Cooling Service Today! Prepare your home for the most hot summer days and make sure your air conditioner is running efficiently with an AC tune-up. Comprehensive maintenance to ensure that your existing system is running at the highest level of efficiency possible. Make sure your home is ready for the cold North Carolina winters by giving your heating unit a full service tune-up. We Are Committed To Being The Best HVAC Repair Service in Raleigh, NC. We offer service, repair, and maintenance on most HVAC makes and models, but of course there are dozens of companies in the Raleigh, NC area that do exactly the same thing. What “advantages” do we offer to our clients here in the Triangle area? You can leave your worries behind when you call Advantage Air. We quote you one rate and we stick to that rate. After nearly 30 years in business we’ve got a good idea of how long things take us, and that experience translates into a fair rate that you can plan for and work with. This also means we can offer you outstanding prices that our competitors have a hard time matching. Satisfaction Guaranteed, or We Don’t Leave. Just because we charge flat rates does not mean that we’re not willing to stay until the job is done. In fact, we insist on it. We will not leave your home until we know you are 100% satisfied with the job you have done. We’re not looking to do one job for you and then ride off into the sunset. We want to be your neighborhood HVAC providers for life, just as we’ve been for other friends, neighbors, and community members in Wake and Johnston Counties. 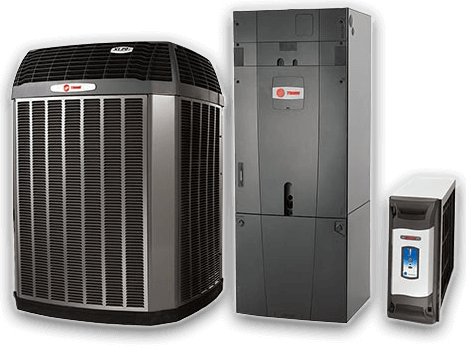 Lennox, Payne, Rheem, RUUD, Trane, York and Whirlpool. Since 1999, Advantage Air Services has been delivering superior customer-focused heating and air conditioning service to our neighbors in Raleigh, NC and other surrounding communities. We’re also pleased to assist our customers with duct cleaning and indoor air quality needs. Helping keep our customers’ homes and businesses safe is a mission we take seriously. We specialize in the service, repair, and maintenance of heating and cooling systems for existing homes and businesses. Our technicians are NATE-certified and receive periodic additional training so they are well-qualified to service and repair any system. From the person that answers your phone call to the technician knocking on your door, it is our intention and goal that you receive quality service at an honest and fair price, delivered in a friendly and courteous manner.